The Conference will be held in Cairo, Egypt from the 19th till the 20th of December, 2017. 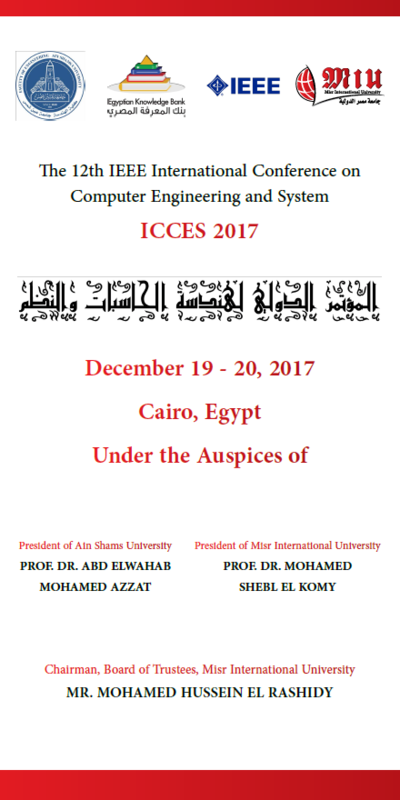 ICCES 2017 provides a forum to exchange experiences and promote new trends in the field of computer engineering and systems. The conference is part of MIU’s ongoing efforts to contribute to Egyptian society and to provide suitable vision, strategies and methodologies for building its knowledge and innovation society.